At the beginning of last year I embarked on one of the biggest challenges of my life yet. I’d been putting it off for over two decades – when most of my friends were learning to drive I had just moved to London, and blown away by the existence of the Underground just couldn’t see the point. I halfheartedly had a series of lessons in my mid-twenties, but got fed up with constantly sitting in traffic jams. I figured I was never going to move out of the city anyway. So there I found myself, thirty eight years old and living in Devon, nervously signing up to finally conquer my fear. It really had become a ‘thing’ by this point – I was terrified at the idea of being in charge of this big hunk of metal, and just couldn’t comprehend how everyone else seemed to find it so easy. After a few incredibly nerve-wracking weeks I began to get the hang of it and even – much to my surprise – quite enjoyed being behind the wheel. Which was just as well, given that we had found out we were expecting our second baby and had an offer accepted on a house with zero public transport connections. Weeks turned into months and my confidence increased – so much so that by midsummer I was ready to book my test. 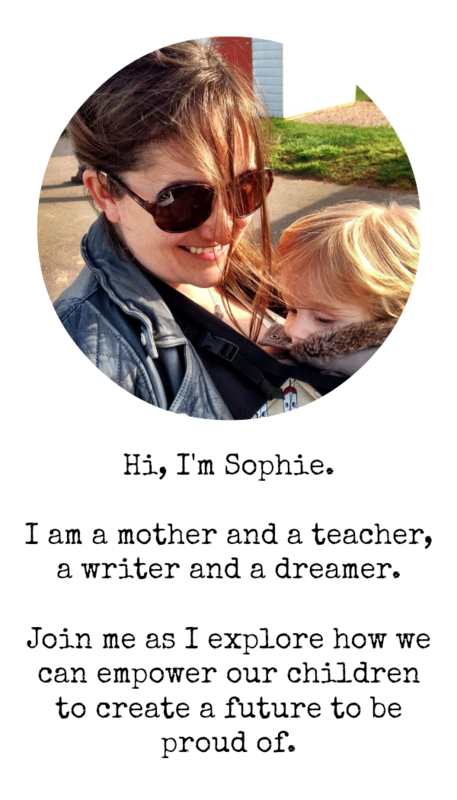 I was quite heavily pregnant by this point but just about managing to keep things together – and determined to get my license before baby number two arrived earthside. I mean, how hard could it be, right, now that I was regularly driving around without any issues? Test number one went fairly well. My examiner was friendly and quickly put me at ease, and we set off on a route I knew well. But as I drove up the slip road to the A380 I was momentarily taken aback by the lack of traffic and swiftly moved across into the left hand lane, only to instantly realise I’d crossed the solid white line. Fail: one serious fault, two minors. Test number two and I was feeling quite a lot more nervous. It was a different examiner, but he seemed nice enough. I prepared to pull out of the test centre and a driver on my side of the road stopped and flashed me. I checked and it was definitely not safe, so I let the car on the opposite side pass. I checked again, and decided I was good to go: there was a car approaching but I had plenty of time. Besides, seconds were feeling like hours and I was very conscious that I was now holding up traffic. I pulled out and continued on my way. The test wasn’t seamless, but it seemed to go pretty well so when we finished and the examiner told me that unfortunately I hadn’t been successful I was stumped as to why. Apparently he felt it had not in fact been safe to pull out when I had, as if I had stalled (which I didn’t) the other driver would have been forced to stop suddenly (which he wasn’t). I have to admit I felt pretty cheated at this point. Fail: one dangerous fault, one minor. In the run up to test number three I was a jibbering wreck. Increasingly pregnant, with the added pressure that with this test scheduled for six weeks ahead of my due date it was the latest my instructor felt comfortable with me going ahead. I knew I had to do something to sort my head out, and tried to find time for meditation and positive visualisation whenever I could. Then the weekend before my test I attended a brilliant hypnobirthing course, and left with a whole raft of tools I could use to find my calm. I was convinced this would be it. When my name was called it was by the same examiner who had failed me the last time, but I breathed away my nerves and got as close to my happy place as could be expected. The route was one I’d driven loads of time before, and I felt completely in control – even when on a narrow residential road I had to pull in close to a row of parked cars to let another driver through. Back at the test centre I struggled to keep my cool when the examiner told me I had failed (again): he had felt uncomfortable with that manoeuvre as he had thought I was going to clip the wing mirror of one of the parked cars (I didn’t). I parted ways with my instructor after that test, went home and burst into tears. Leigh and Arthur did their best to console me but I was just so frustrated, and had begun to convince myself that I was just never going to pass the test. This was a weird place to be in for me: passing tests was generally something I found pretty easy – I was usually skilled at working out what was required and pulling it out of the bag, even when I wasn’t all that well prepared. Yet here I was, felling fully prepared, yet completely incapable of ticking the boxes I needed to. I booked in another test for two weeks later. There was nothing available at my local test centre, so I had to go for one further afield. I just couldn’t let myself be defeated though – I had to give it one last try. My dad accompanied me on the drive up to the area a few days before (a good hour and a half each way), and we did our best to get a feel for the possible test routes. I convinced myself that it might even work in my favour being somewhere new, that it might distract me from my nervousness about the test itself. And then the morning before my test was booked I went into labour, a month early. The first couple of weeks after Orson’s birth were spent in and out of hospital so I didn’t get to practice at all. It was almost a month in the end before I was behind the wheel again, with less than a fortnight before my test. I figured it was just a numbers game at this point, that if I used my relaxation techniques and did my best I surely had to be in with a good chance of passing. Orson was sleeping fairly well, and I was being carried along by the adrenaline of the early postpartum period. Then his sleep started to waver, and with it my sanity. I was only just holding it together when I drove across with Leigh to the test centre, Arthur at home with my mum and me feeding five week old Orson in the driving seat just before heading in. I almost burst out laughing when I discovered I had the same examiner who had failed me the previous two times, but at least with everything else that was going on I didn’t have time to be nervous. We’d been late getting to the test centre so had parked in the most awkward spot on the site – I’d managed a perfect manoeuvre, but it soon became clear that I would have to use a different exit to the one I was used to. As I slowly drove towards it I thought to myself that the wall on the right hand side looked a bit close. Then: crunch. I drove straight into it. I couldn’t even be irritated with that fourth fail, but I knew I was going to need to find a way to reset if I had any chance of passing. There was also the not insignificant fact that the driving test was changing a couple of weeks later, and that I would really benefit from someone talking me through the new expectations. So I sought out a new instructor. She was encouraging but straight up when she said that I still had lots of gaps in my driving that needed work – especially with the demands of the new test. She talked me through everything in immense detail, not leaving anything to chance. For a while I felt like I was going backwards, like I was forgetting all of the basics of driving and would never get them back again. But slowly but surely we built up the foundations together more strongly than before and, three months later, I was finally ready to try again. In the run-up to test number five the weather forecast was looking extremely dubious, with heavy snow on the horizon. I was all ready for the ultimate twist of fate, constantly checking for any news of cancellations, but it appeared the test was going ahead. It was icy cold when my instructor turned up to accompany me, but Leigh had already popped out to the garage that morning and the roads out of the village were fine. A few final checks and I was in the driving seat ready to start the engine. Except the car had other ideas. It juddered, and sputtered, and rattled, but the engine was dead. We had just over half an hour till the start of my test so had to think fast. Ultimately we had no real options: I would have to use my instructors car, despite never having driven it before. Everything about it felt different, but I swiftly went through the controls, tested the biting point and had a go at a manoeuvre. I felt completely out of my depth, but I just had to get on with it. As we drove into the test centre the snow began to fall: the icing on the cake. The only saving grace was that the examiner who called my name was the nice one who had failed me the first time, as opposed to the one who’d overseen my three subsequent tests. It was without a doubt my worst forty minutes of driving in many months. I couldn’t release the handbrake, rolled back on a hill start, stalled on exiting a junction and totally misjudged the size of the car in my parallel park. And yet, by some miracle, I didn’t fail. I had a driving license, at last. Two weeks later I am still sightly in shock that I can actually independently drive a car, and simultaneously cannot believe that it took me this long. It makes life so much easier! I can go out and do fun things with the boys! I don’t need to get my mum to give me lifts! More than all that, though, I am thrilled to have been able to demonstrate to Arthur that persistence pays off. That even when you find something really, really hard (and really, really scary) you can still achieve it – and that you shouldn’t give up, even when the prospect of succeeding is teetering precariously close to the impossible. It’s made me refocus my energies more determinedly on my other impossible dream too – that of finding a publisher for my novel(s). Right now that is still feeling beyond the realm of what I’m capable of, and I want it so much that I am really struggling to throw everything behind it just in case I fail. But then if I do I know that I can just try again – and again, and again. I owe it to myself to give it everything I’ve got – and perhaps even more importantly I owe it to those little boys who are watching my every move. 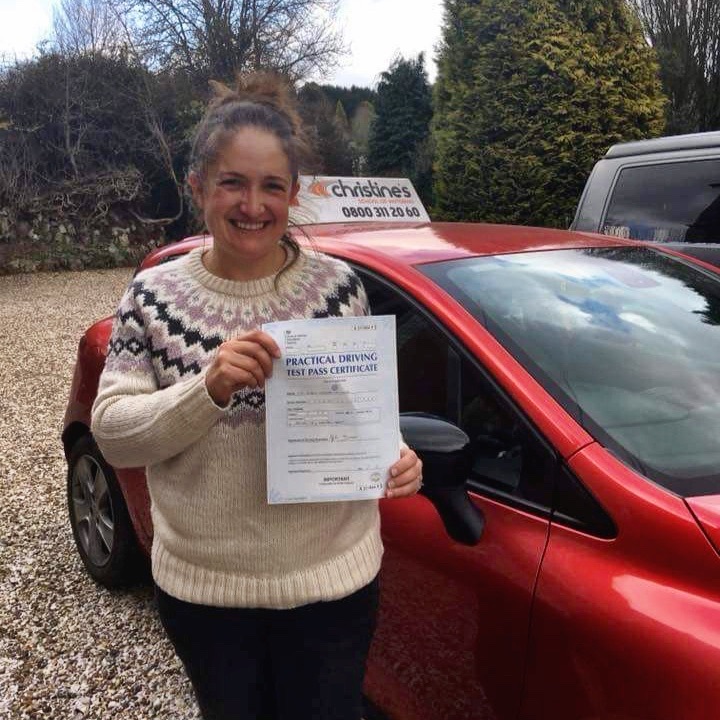 Thanks to Petra from Christine’s School of Motoring for the pic – and for having the patience and expertise to finally get me through my test!